I rarely write reviews, but this car buying experience was so pleasant I feel it warrants one. I found the car via the internet, and on my first phone call, I asked Abe if the car had rust on the underside. His answer was, he did not know, he had not checked yet. I appreciated his honesty from the beginning. Soon Jack had the car on a lift and sent me a video of the underside. They made the whole experience very pleasant . Based on my experience, I do recommend Longmeadow. I recently purchased a Mercedes E350 from Longmeadow Motor Cars and the experience could not have been better! My cousin told me about Longmeadow Motors over 15 years ago and we have both purchased many cars from Longmeadow Motors and Abe. Our response: Thanks for the Business John ... You are a great customer and we are happy to have you. Abe and his team are the best!! Abe made sure when I walked away everything met my expectations. He answered all my questions and made sure I had the best deal. I would recommend Longmeadow Motors to my family and friends!!! Our response: Thank you for your very nice review. Honest, affordable, no hassel...thank you George ! Great car buying experience couldn't be happier ,will definitely purchase here again. Our response: Thanks for the business. Enjoy your new truck!!! Great deal and excellent customer service. Registration was done for us and the staff was very accommodating for our schedule and needs. I have had the vehicle for 2 months now without any problems. If you’re looking for a nice/good/affordable car, without the normal hassle of getting a new car, then this is a great place to look and deal with. They have really good inventory and variety. Cars are in great condition, no matter what the year or mileage. Abe and Arnold were also very helpful and informative of the car I was interested in. Abe really took care of me and I can’t say enough how happy I am with my purchase! HIGHLY RECOMMEND! I highly recommend considering Long Meadow Motor Cars if you're in the market for a used vehicle. Very easy to work with and very accommodating to your needs as a customer! I dealt with Abe and the experience was relaxed with no pressure to make a sale. Abe was willing to listen to my needs and was very clear as to the pro's and con's of each vehicle. This was my first time buying a car from Longmeadow Motor Cars, and I see myself as a returning customer next time I need a car! Our response: Thanks for the review. We appreciate your business. Great quality used cars at very reasonable prices. I absolutely love my new Santa Fe and Abe and the rest of the staff made that possible. They really work with you and make sure you're leaving happy, with a safe vehicle. They really went the extra mile to make sure you're satisfied. I HIGHLY recommend Longmeadow Motor Cars!!! Absolutely the best experience I have ever had buying a vehicle. Abe is one of the nicest guys i have met and he made me feel at ease. I had been looking for a truck like this for over 2 years, This came in and the deal was done in under 3 days. I would recommend Longmeadow Motor Cars to anyone looking for a car that does not want a lot of hassle. The only reason I am giving 5 stars is because they will not let me give 10. If you are going to buy a used vehicle, you need not go anywhere else but Longmeadow Motor cars. Abe and his team were amazing! He's more than willing to help with any and all questions. He was more than patient with my daughter and I when the first car we purchased from him was totaled by a drunk driver, so of course, we bought another from him. I could go on and on about how highly I regard Longmeadow Motor Cars. You never have to worry about the cost, quality, or care at this dealership! I highly recommend Longmeadow Motor Cars. The owner Abe, gave me a fair and Honest deal and then added some upcoming maintenance at his expense to make sure I was not going to have to do it in the first year i owned it! My next car will be from Abe as well!! I would like to thank Abe for his help and patience when I came to him shortly after my accident looking for a newer car. He was very helpful when I explained the type of vehicle I was looking for and was very versatile with the vehicles he had. At no time was he pushy for me to buy and was extremely patient when I was waiting on my insurance company. Thank you again, truly the best car buying experience I have ever had. Thank you again. Had a few conversations with Abe before buying the car. I knew after the first test drive and conversation with Abe that he was an honest guy. He was a pleasure to work with. I would recommend Longmeadow motor cars to anyone. Honest and extremely fair. They stand behind every car on their lot 100 percent. I love my Volvo very much. And I gave them 5 stars as does the BBB. Abe was awesome, working with my parents to find a car in my budget that I was happy to drive and excited about. I told Abe my budget and explained the kind of cars I was interested in and less than a week later, he had good news of a new car on the lot he thought I would like. I came in to see and we bought the car right away. needless to say, they know what they're doing and what they're talking about over at Longmeadow Motor Cars. its been two months now and I still love my car as much as the day I got it. The best was the process being so easy. Getting everything done with a easy, and effortless approach made things enjoyable in finding a car. I did not expect the process to be so easy, but it seemed that Abe really cares about his customers and really took care of us, considering pricing, and effort put in to make it all happen for me. I felt very important and consistently excited throughout the entire ' my first car buying ' excursion. I just bought my seventh vehicle from Abe and Al. I will never by a car or truck from anyone but them. They are not interested in making a sale for the day like most dealers. They work hard to make a friend for life. All there vehicles are exactly what they say they are. They even refused to sell me a truck I wanted because they thought it might have a transmission problem. I have been buying cars from Longmeadow Motor Cars for the past 15 years. I would likely have purchased more if they didn't sell such incredible vehicles that last for years. Dealing with Abe and the crew is always easy and the transactions are effortless and without and haggling. I recommend the dealership to all my friends and will continue to do so. Thanks very much!!!! I am happy to say we are a two car Longmeadow Motors family , and eventually a three car once the daughter graduates. The selection is excellent quality and service are all part of the package. I recommend you talk to ABE ,I am sure you will get results. My husband and I had a very pleasant experience purchasing a great quality car at a great price. I had the most pleasant car buying experience here! Abe and Josh were unbelievably nice, helpful and were willing to work with me. They put new brakes and tires on the car as well as doing an oil change. I am very pleased with my experience there and will defiantly recommend it to anyone who is in the market for a new car! I had the best experience at Longmeadow Motors. The gentlemen were friendly and very easy to talk to. They work WITH you. It isn't a typical pushy dealership- it is quite the opposite. I felt extremely comfortable with this company. I recommend this place to anyone. Thank you again, Abe! Thank you Abe for going far above and beyond to get me a great vehicle. The experience was fantastic; Abe is a true professional who takes pride in his cars and ensures his customers are 100% satisfied. There's no better place to find an automobile or better person to do business with. I am a new lifetime customer, many thanks again Abe! I recently bought a used 328i BMW from this dealership. The salesman Abe gave me a really fair deal without any of the hassle you normally go thru at other dealerships. He did exactly as promised, was totally professional and made my experience there unlike any auto dealer. I would highly recommend this dealership to anyone simply because of his friendly and honest professionalism. If your buying a used car, you really need to go here!! I am from Amarillo, Texas and I have been looking for a particular car for about a year. Finally found it at Longmeadow motor cars with Abe Yacteen. Upon arrival at the dealership the auto was as advertised. Abe was easy to work with. I drove the vehicle 2100 miles back to Texas in a day and a half and it drove very nicely. I would recommend doing business with Abe. Just bought a 2014 Malibu from Longmeadow motors. The car was priced very well and looked brand new. Abe was very nice and helpful, and was not pushy like other salesman. The day I picked up my car, it was very clean and the gas tank was full. I definitely recommend going here. I just can't thank enough to this wonderful awesome guy ABE, since the first day that we met him we knew that he was honest, trustworthy gentleman who we can do business with. He did everything that he could (and beyond) to get us the best financing and to get the actual car "my new baby Acura 2014" I'm more that happy not only for the purchase but for the person who make this wish come true. THANK YOU THANK YOU THANK YOU SO VERY MUCH ABE !! I will absolutely definitely totally highly recommend LONG MEADOW MOTOR CARS, they have everything that u looking for , Great cars ,Great Service, Great Prices and managed by the most wonderful guy Abe. Wonderful Experience - So thankful we found Longmeadow Motor Cars! I just recently purchased a 2010 Hyundai Elantra GLS from Longmeadow Motor Cars and could not be happier. Abe was incredibly helpful throughout the entire process and really went the extra mile. He was very fair, honest, and trustworthy. Being able to have peace of mind when buying a car was so great! Will absolutely be recommending this business to friends and family. Thank you so much! All the way from Colorado! I flew all the way from Colorado to buy a car from Abe. It was exactly as he represented it on the phone. He even installed a new battery and two new tires (which he didn't have to do) so my drive back was trouble free. How refreshing to find such an honest car dealer. Thanks again Abe. I would definitely recommend doing business with Abe. Simply put, I found him to be fair, honest and very easy to work with. He worked to get me a great financing rate and made the whole deal come together easily for me. It's clear to me that customer satisfaction his the top priority. Without reservation, I'll go back to Longmeadow Motor Cars and do business with Abe again when I'm looking for my next car. I had the pleasure of doing business with Abe back in May. 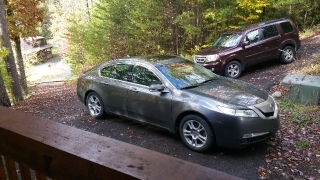 I'm from Pittsburgh and found our Acura TL that we purchased on his website. Everything he described on the phone was correct. I didn't find any surprises and it indeed was a beautiful car. I had enough trust in him just from our phone conversation that I felt cormfortable enough to book a plane ticket and fly to his lot. He even sent a lot attendant to pick me up at the airport so I didn't have to pay a taxi. The only thing I came across was the car only had 1 key. He told me he would put a key in the mail for me and would take care of it. He indeed did. It was a pleasure doing business with Abe and I would definitely buy from him again. Highly recommend these guys to anyone looking for an out of town good deal. There pricing was way below what I was finding local. I must have stopped in to see Abe a half dozen times over a half dozen months, checking the inventory, always asking questions, test driving, test driving test driving. Abe always took care of me, let me drive what I wanted to, he probably thought I was never going to buy a car. My father purchased three cars from Abe and Abe showed incredible patience with him, honored every detail for every car and my father now considers him a friend. I ended up buying a 2008 Honda Pilot, a one owner in great shape, I love it, Abe fixed the minor details that needed fixing and honored my warranty without question. I will only buy a car from Abe. Customer for life. Just picked up a great suv from Abe. From the minute I met him I knew he was a person I could buy a vehicle from. I didn't feel I had to low ball him with a price to settle on a great value for me. The SUV was everything he said it was and when we signed the deal he had included a longer warranty than required. I will deal with Abe in two years when my wife will be getting a new vehicle. Very pleased, thanks Abe. There is absolutely nothing Abe will not do to ensure that you have an excellent car buying experience at Longmeadow. We are extremely happy with our purchase and with the above and beyond service from Abe and his entire staff. We are very grateful and will definitely be returning customers when the time comes! This place is a time machine back to where customer service really matters! You know how it is when you go to buy a car, its stressful...Not here. Abe, the owner, answered all our questions and let us be free range browsers lol. He took care of all the paperwork and made the process really pleasant. Everyone there really cares about the cars they sell and about me having a safe and reliable car. I can't wait for an opportunity to go back and buy our second car from them! Basically this is the place to buy your car. I found this dealership online through AutoTrader.com and immediately called and spoke to Abe. He could not have offered me better customer service or shown me any more patience. I live five hours away from this dealership, out of state and Abe made the whole confusing process come together seamlessly. I could not be more pleased with the vehicle and the quality of the work the people at this dealership put into the cars on their lot. They actually care about what the customer wants and are nothing but kind and reasonable with their customers. I do not see myself going to any other dealer after this and my mother has also stated that the next time she is looking for a vehicle, Longmeadow Motor Cars is where she will be going. So thank you so much to Abe and the entire staff at this dealership for your hard work, patience, and the amazing experience! "I would highly recommend Longmeadow Motor Cars and dealing the Abe from Longmeadow is like seeing a good friend. I truly believe that he's looking out for his customers. 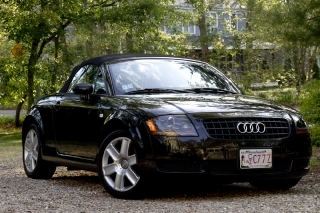 Last night Jan & I took a top down drive in the Audi TT we just purchased from Longmeadow. The car ran flawlessly along the shore and winding roads passing Nobska Light into Woods Hole. It was one of thos perfect evenings. I'd recommed Long Meadow Motor Cars to any car enthusiast looking for their perfect car at a fair price. Thanks Abe. Best, Stu & Jan"
Five stars, great place to buy a car. We were very indecisive as we both wanted different cars. Abe was very accommodating and gave us a good deal on Beautiful ML 350. Will return. I needed a car for my daughter and it was a very disappointing search until I found Longmeadow Motor Cars. This IS NOT your usual used car dealership with questionable tactics of bad information, scams, shell games, hidden fees, etc. The facility is clean and organized, the staff is friendly and professional and the vehicles are in nice shape. I had a couple concerns about the car I wanted to purchase and without hesitation Abe agreed to take care of them. The price was very reasonable where all other dealers I visited were way overpriced and often on cars in poor condition. Abe was up front, open and honest with me. I am so pleased with the transaction that I will gladly send my family and friends to him whenever I can. The car was delivered to me cleaned inside and out and with gas in it, a class act. I will be back in a couple years when I need to get a car for my son. Thanks Abe & Staff. I was very pleased to find such a clean Lexus at such a fair price. It is obvious that they choose their inventory carefully and then follow it up with great customer service. It is a no pressure place to find the right car. I will recommend friends and family that are looking for a quality car at a great price to Longmeadow Motor Cars. I met Abe and Al over 10 years ago when I purchased a car through Longmeadow Motor Cars. Since then, I have purchased three more cars more cars and have made many referrals to LMC. I have yet to purchase a car elsewhere. Customer service is their top priority. They will place their reputation behind their vehicles and will make sure you are happy with your purchase. We just bought a Honda Pilot and couldn't be happier with the experience. If you don't see a vehicle on their web site, be patient and talk about your desires with Abe. LMC has access to thousands of vehicles and will get you what you want. Give Longmeadow Motor Cars a visit. Once they know your face and name, they will treat you like family. The Extra Mile... and a Half! Not a lot of companies out there will "Go the Extra Mile" regardless of the industry (sales, food, etc...), Abe from Longmeadow Motors on the other hand exceeded my expectations! Months before my purchase, my father purchased a Chevy Colorado from Abe at Longmeadow Motor Cars and told me how he really enjoyed working with him. Knowing that I was looking into a new vehicle, he suggested I contact Abe and see what he could find me. I had my heart set on finding a 4-door Chevy Silverado. Though Abe didn't have one on his lot at the time, he kept his eye out and found exactly what I was looking for in my price range. When Abe got in a Silverado, I test drove the truck, gave it a good look inside and out, it was immaculate. The only thing left to do was to call my bank and get an approval for the loan. It was then that my bubble burst. My bank (who I held an account with for many years) told me that because the truck was older they wouldn't finance me for a 5-year loan, despite my good credit. I won't lie, I was pretty bummed. When all seemed lost, Abe recommended I finance through them. I submitted a credit check, and was approved for a 5-year loan. If you're considering purchasing a vehicle, I highly recommend Longmeadow Motor Cars! Give Abe a call and he'll get you into a great vehicle at a low price. I recently visited Longmeadow Motor Cars in Enfield, CT and received excellent customer service. I was very satisfied with all the help Abe was able to provide to help me find a car. I traded in my SUV and found an affordable car that fits exactly what I needed. Abe made the trade in and purchasing process so easy and stress free. I am extremely happy with the car and have no complaints. This is one used car dealership that is very honest and helpful, I highly recommended finding your next car here! I have now purchased two vehicles from Longmeadow Motors and would recommend them unqualifiedly. The first one I purchased five years ago had an issue (minor) within the first 24 hours and they covered the cost completely with no questions asked. The car gave me five years of great service. Without question I returned and purchased another vehicle. I would highly recommend them, they are great to deal with and in no way high pressure "used car salesmen". Five stars! Looked at car on Sunday. Couple small items on car needed attention. Came back Tuesday for a test drive. Bought the car on Thursday with everything fixed...car was in tip top shape. Abe was very easy to work with and extremely professional!! I would highly recommend this dealership. My wife and I have recently bought a 2010 Nissan Altima for our son. We met Abe and he made the whole process extremely easy. We have always felt apprehensive when buying cars (the whole pressure from the moment you walk into the dealership is really annoying to us). Our experience with Abe was the complete opposite. He was very polite and approachable. He gave us the keys to the car and let us check the car at our discretion, not only once but twice (we went back with a family mechanic to check the car again). So far, it has been almost three weeks and the car runs perfectly. Even after the car was purchased, Abe went the extra mile and contacted a dealership near our residence so he could get an extra remote for the vehicle (it came with only one). Thank you Abe, we look forward to doing business with you again soon. My wife and I have purchased two vehicles from this dealership in the last 4 years. This dealership has great quality vehicles. We will be returning in the future to buy more vehicles. Abe does a outstanding job running this buisness. I worked with Abe and was very pleased from start to finish with my vehicle purchase. Not only did he respond (which a lot of dealers do not do) to my email, another person from the dealership also returned a email to me. A no pressure situation and the car was safety checked and abe even set up so body work to be done on the vehicle. He also opened on Sunday because that was the only day I was available to come. I am not going to hesitate to purchase a car there again next year for my daughter. I recently purchased a car here at Longmeadow Motor Cars and the process couldn't have been any smoother. Abe and his staff were very professional and accommodating to my busy schedule. I would highly recommend this establishment to my friends and family and I love my new vehicle. Couldn't have gone any smoother. I recently purchased a vehicle from Longmeadow Motor Cars in East Longmeadow and it was a wonderful buying experience which I highly recommend. Abe and his staff were very accommodating and it was a no pressure buying experience. I will highly recommend this place to my friends and family. Very satisfied with the experience and my new vehicle. If you are looking to purchase a used car go see Abe at Longmeadow Motor Cars. This was the best experience we had purchasing a car. When he says he stands behind his cars, he means it. "You never find that"!! They should be getting a five star review. Just bought my 3rd car from longmeadow motors and it was smooth and easy. I love my new car. Abe makes it easy to be a repeat customer. I bought a great car from John last week, John helped me get everything prepared remotely including working with my credit union for financing. I was a little concerned buying a car from a dealer 3 1/2 hours from home but I can say I am quite happy I found Longmeadow. I paid $1850 less than the car traded for and did not need to haggle. The car was in absolutely perfect condition just as John had reported. I will defiantly try to buy my next car at Longmeadw. Such a pleasant experience purchasing our 2006 Toyota Highlander from Abe and John. No pressure, just a great car at a great price. Trading our old vehicle was a snap because they took care of everything. No typical dealer hovering or ridiculous dealer fees! Very comfortable environment making a usually stressful chore much easier. Bought my 2006 Toyota Tundra 11/12/14. Abe provided great service with no pressure buying. Would and will highly recommend to my co-workers, family and friends. Very professional and pleasant sales staff. Abe made me fell comfortable and did not pressure me to buy. Bought my 2001 Lexus LS430 and next day when I returned to Longmeadow Motors to pick up my 2001 Lexus I purchased a 2nd Lexus (1998 Lexus GS400)for wife. We are very happy with purchase and wife very happy and that's all that matters. No pressure. Just very professional, patient dealership to work with. John and Abe are a great team. They were honest and did everything they promised (even put new Pierelli's on my car). If your looking for a used car, it would be worth your while to check them out. I purchased 3 used Mercedes from Longmeadow Motor cars for just over $10,000 total. They are 1999, 2000 and 2001 vehicles. Due to the age, none came with warranty. But I have complete faith and trust in this dealership and the persons I dealt with there(Abe and John). The vehicles were/are in excellent physical and mechanical condition inside and out. As such, I didn't really feel I even needed a warranty. The one I purchased as my daily driver, a 2000 E320 4 Matic wagon runs as smooth as new and the suspension is tight without rattles or squeaks. A contractor I deal with offered me significantly more than what I paid, but I'm not parting with it. The other two are also beautiful despite their age. I would definitely advise visiting LongMeadow Motor Cars to view their inventory and take a test drive. I traveled 2 hours from NYC to Long Meadow and it was/is worth it. I am sure that if these older cars are in such good condition, that their newer vehicles must be superb(and will probably come with a warranty). Great experience at Longmeadow Motor Cars! Excellent customer service Abe and John were both awesome to deal with! Anyone looking for a quality used vehicle, would definetly recommend going to Longmeadow Motor Cars. Clean nice quality Cars. I purchased a 2011 C300 Mercedes Benz for my wife and she loves it. The vehicle is like brand new! Just purchased an infiniti G35x from here and I love it. Was a very simple buying process and there are many nice cars on the lot. John and Abe were both easy to deal with and I would reccomend them to anyone. A Good Place to Buy a Car! Saw the car I wanted on-line, and John replied via e-mail. Bought the car on Saturday, and drove it home Tuesday! A Great place to buy a car...no fuss, no bother, and great service. John and Abe will get my business in the future. We recently purchased a car from Abe and were very pleased with the experience. The car is outstanding and Abe made sure ever detail was in order. He was very knowledgeable about the car and its many features. The transaction went smoothly and we coudn't be more pleased. I would highly recommend Longmeadow Motor Cars. Anybody looking for a good used car and a good car buying experience, look no further... Just purchased my 2nd car from Abe. No high pressure sales, and Abe and John go the extra distance to find you a vehicle to suit your needs... Highly recommended. I recently purchased a 2007 Subaru Outback and was very pleased with the service I received. Abe is courteous and knowledgeable This was the easiest automobile purchase I've ever experienced. I would highly recomend them to anybody in searching for a good vehicle. Outstanding quality and service. Recenty purchased a car from John and Abe and was pleased with the service that I received. John and Abe were both very professional and provided me with all the information that was needed. I am happy with my car and would not hesitate to recommend them for anyone interested in purchasing a car. We found this car on line. Drove over 50mi. to see it. Met John and Abe. Very nice folks. Easy to work with, Its been 3 weeks and we are very happy with the car. Thank you John. Great Experience. Great People. Great Car! I have bought 2 vehicles from longmeadow motors and each time the experience was painless and efficient. The staff is excellent and I would recommend them highly. I am one of their many return customers. 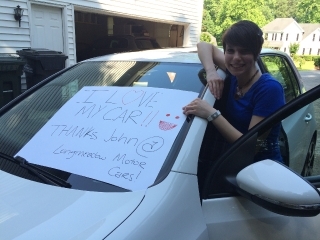 I recently purchased a car from Longmeadow Motor Cars and have been very pleased. From start to finish,it was a very pleasant transaction and they were very helpful in making sure I found the best car to fit my needs without being high-pressured. I have sent many friends and family there and they too have received the same service as well as liked the large inventory of vehicles they have to offer.